Advances in sensor, wireless communication, and information infrastructure such as GPS have enabled us to collect massive amounts of human mobility data, which are fine-grained and have global road coverage. These human mobility data, if properly encoded with semantic information (i.e. combined with Point of Interests (POIs)), is appealing for changing the paradigm for gas station site selection. 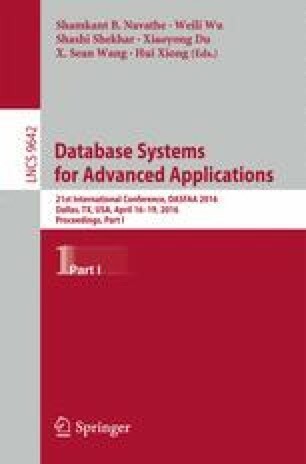 To this end, in this paper, we investigate how to exploit newly-generated human mobility data for enhancing gas station selection. Specifically, we develop a ranking system for evaluating the business performances of gas stations based on waiting time of refueling events by mining human mobility data. Along this line, we first design a method for detecting taxi refueling events by jointly tracking dwell times, GPS trace angles, location sequences, and refueling cycles of the vehicles. Also, we extract the fine-grained discriminative features strategically from POI data, human mobility data and road network data within the neighborhood of gas stations, and perform feature selection by simultaneously maximizing relevance and minimizing redundancy based on mutual information. In addition, we learn a ranking model for predicting gas station crowdedness by exploiting learning to rank techniques. The extensive experimental evaluation on real-world data also show the advantages of the proposed method over existing approaches for gas site selection. This work is supported by the Foundation of the State Key Laboratory of Software Development Environment (Grant No. SKLSDE-2015ZX-04).